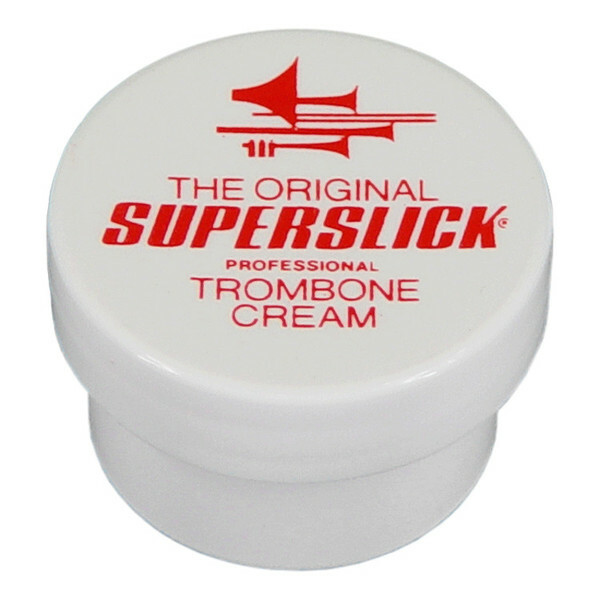 This Superslick trombone cream provides a smooth and lubricating surface to any trombone slide. Its fine smooth properties make a leading choice for all trombonists, from beginners right through to professionals. Not only does the trombone slide cream give a fantastic action to your slide, it is also very long lasting. The lubricant wears down very slowly meaning only a small amount of the lubricant needs to be used at once.